At one time, researchers limited their forest ecosystems studies to biological and physical analysis. The US Department of Agriculture (USDA) Forest Service recognizes that humans are also part of the forest ecosystem. The condition of a forest greatly depends on how people think of it and the ways they want to use it. 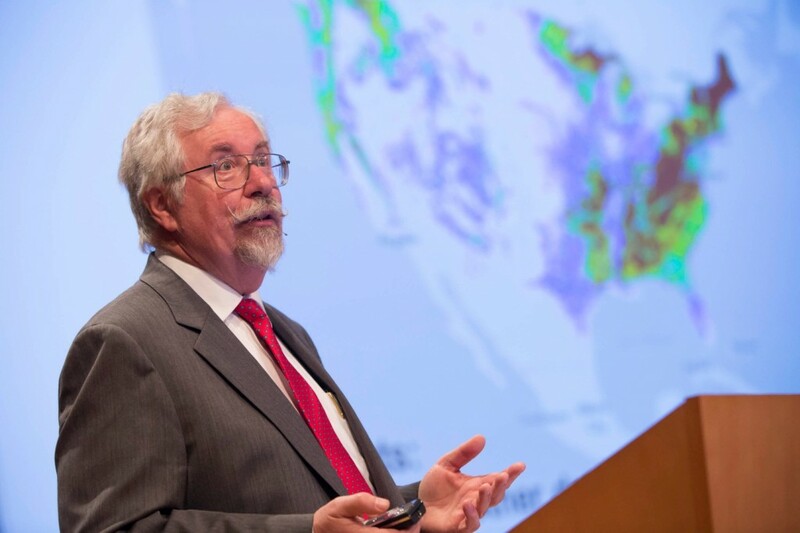 Dr. Richard Guldin is the acting associate deputy chief for the USDA Forest Service’s research and development. In his keynote address at the Esri Forestry GIS Conference in May 2013, Guldin explained the role of GIS in tracking the health, productivity, and diversity of the nation’s forests. The US Forest Service understands that people’s attitudes and values affect the health and condition of the nation’s forests and influence how they are being managed. The Forest Service’s management strategies and practices reflect those changing values. Guldin has led the US Forest Inventory Analysis (FIA) program since 1996. Program researchers inventory forest attributes such as species, size, and health of trees; total tree growth; mortality and removals by harvest; wood production; and forest landownership. They then estimate forest status, condition, and trends. From this, they compile the nation’s forest census that includes tables, charts, and maps. These estimates are critical to the development and implementation of policies and practices that support sustainable forestry in the United States. “People that use the inventory are mostly interested citizens or decision makers or policy makers,” Guldin said. “Geospatial tools help us tell the forest story better in ways that allow people to see and understand what’s happening. New GIS capabilities support more complex products such as data layers, composite maps, and blended information. An integrated platform increases forest data quality and improves users’ abilities to share this geospatial data across devices. The FIA program has created many valuable geospatial products. 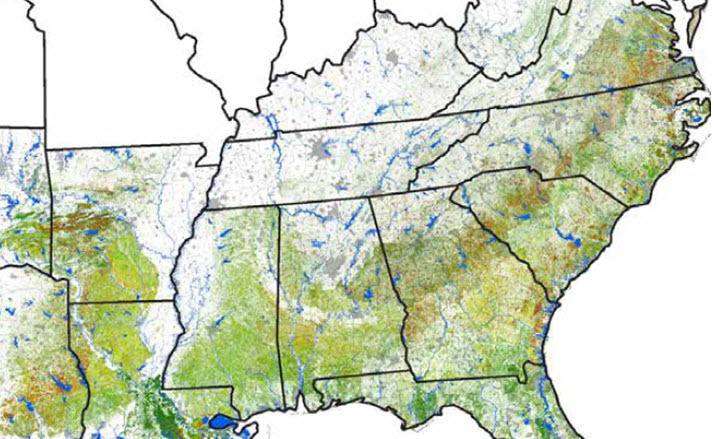 Its insect and disease risk portfolio includes data and a map about southern pine beetle infestation. Its fire portfolio includes maps that show burn severity, such as pre- and postfire comparisons, and ecological dynamics in fire-ridden locations. The USDA Forest Service insect and disease risk portfolio includes the Southern Pine Beetle Hazard Map (red/high to green/low). Still in production, FIA’s Forest Atlas of the United States explores questions about the value of American forests and the challenges that confront them. The atlas will be available in print in 2014. At the same time, FIA will launch the project’s data layers as a service. The content is from many data providers and includes links to data repositories such as ArcGIS Online.